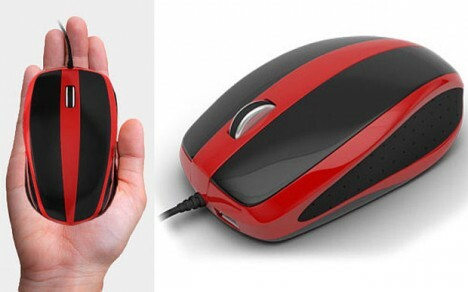 Since mobile devices today have world’s more computing power than PCs of a decade or two ago, it makes sense that sooner or later a peripheral could double as an entire computer of its in, in this case putting that computer in a mouse and quite literally in the palm of your hand. 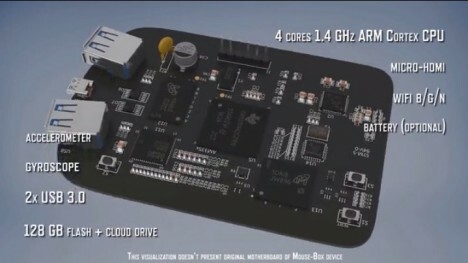 The Mouse Box by Przemysław Strzelczyk works as a mouse normally would, but contains a processor, storage, HDMI connection and wifi capabilities as well. 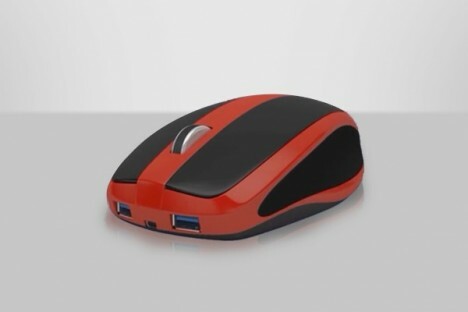 As the one external computing accessory people travel with, this seems like the right type of device in which to put a whole computer. The next step: creating a wireless charging mouse pad, since energy is likely to be the most limiting factor, as it is with smartphones. Hopefully a model further in the future could contain some kind of projection device, eliminating the need to carry a screen as well. See more in Computers or under Gadgets. May, 2015.